3 Bedroom End of Terrace House For Sale in Preston for Asking Price £95,000. FEATURED IN THE BIG OPEN HOUSE on Saturday 27th April 11-1pm & Sunday 28th April 2-4pm. Call 01772 823021 for more details or simply just turn up on the day. 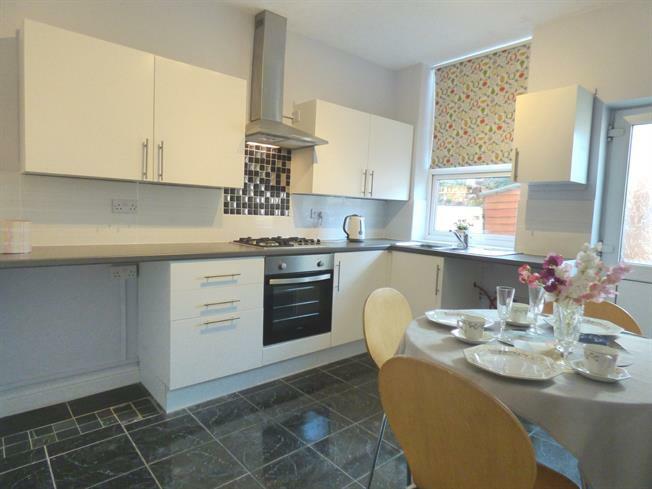 FULLY REFURBISHED three bedroom end terrace boasting newly fitted dining kitchen and bathroom and offers an excellent location for Preston city centre, Cardinal Newman College and University of Central Lancashire. No chain delay and viewing highly recommended. The accommodation briefly comprises; vestibule, lounge, modern dining kitchen, to the first floor, three good sized bedrooms and modern bathroom. Double glazing and gas central heating system and courtyard to the rear. Not to be missed! Double glazed window to the front, radiator and electric fire. Modern fitted kitchen comprising of a range of wall and base units with complementary work surfaces, stainless steel sink and drainer, gas hob and oven with extractor, part tiled walls, space for washer, tiled flooring, radiator, double glazed window and uPVC door to the rear. Staircase leads from the kitchen to the first floor landing and loft access. Double glazed window to the rear, laminate flooring, radiator and storage cupboard housing the boiler. Modern bathroom comprising of; bath with shower over, wash basin, low flush wc, tiled walls and flooring, heated towel rail and double glazed window to the rear. Wall enclosed rear yard with gated access to the lobby.